Many options for your orders. 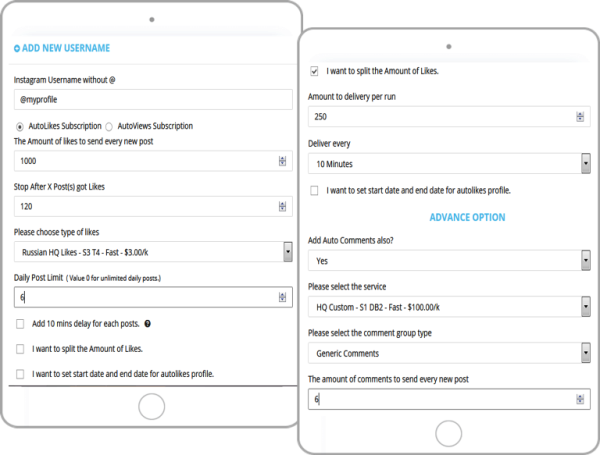 Schedule or/and split the total delivery amount,spread it across posts easily,etc. Spread the Likes between posts with 1 click! Schedule the delivery of any service over time. 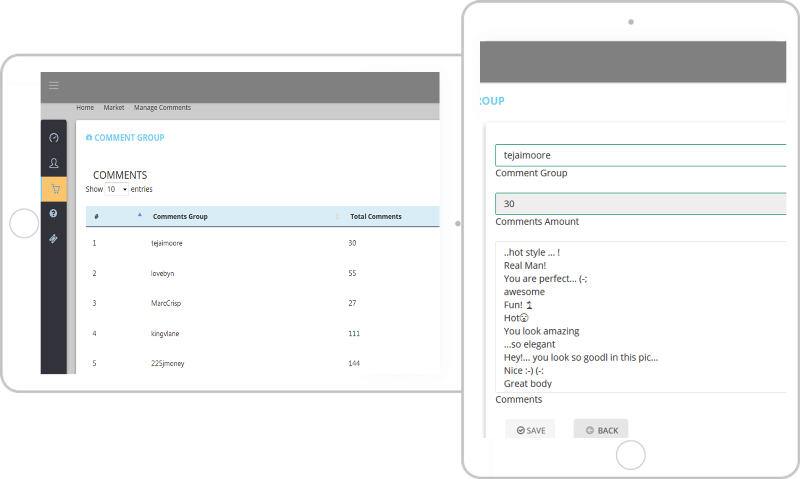 Split the delivery of any service over time and make it look natural! Answers to most common Questions! 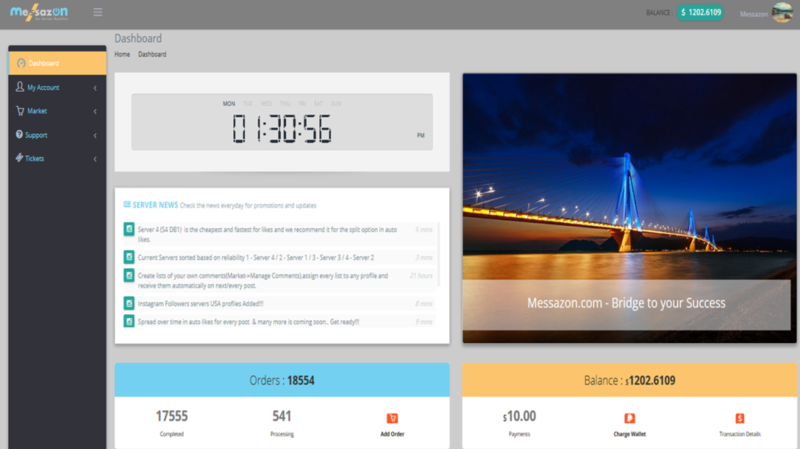 Messazon.com is not a regular Instagram resellers panel.The variety of our services makes messazon.com a powerfull tool in the proper hands.If you don’t believe us,then please check by your self.Register and get $5 to test our services...we are sure you will get back for more! What type of profiles/servers/services do you offer? We are offering Instagram Likes/Followers/Comments and Views. We have include the bests,most reliable,stable and fast servers to choose from(currently 4 servers with many databases on each one). We have Real/Fake/Targetted profiles with HQ (High Quality)/MQ (Medium Quality) and LQ(Low Quality).Also you can choose between Fast,Medium speed and Slow servers. You can take a look here for samples of our profiles. Why do you have so many servers/databases of profiles? Because as ex-resellers our selfs,we always faced problems with our Auto Likes clients…Once in a while every server needed update/refresh or it was overloaded and had delays.That’s why we are giving you the options to split test and use each server that suits you best! Also we want to give you the ability to transfer your profiles for auto likes to a different server in case the server you are using is not working 100%. Will there be any delays? Is there any guide for all your panels features? Check here if you are human. 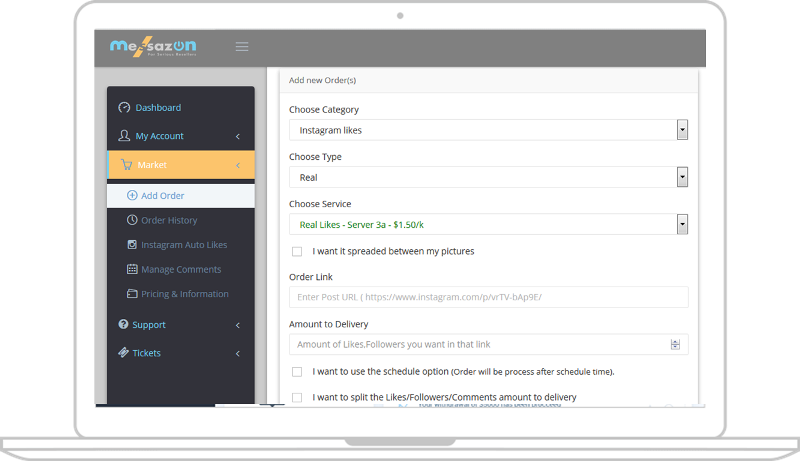 Messazon.com is an Instagram automation tool developed by Easywebsol LLC,for agents and resellers.